We heard the governor of South Carolina had some trouble finding the Appalachian Trail last week. We don't want that to happen to anyone else, so now's a perfect time to let you know about our new online community: Sierra Club Trails. Members of the community are adding trails from around the country, sharing spectacular photos, and discussing topics such as whether guns should be allowed in our national parks. 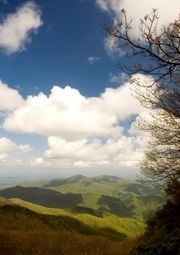 But so far only two sections of the Appalachian Trail have been added by our members. No wonder the governor got lost! If you've hiked the Appalachian Trail, join the Sierra Club Trails community and add a stretch or two. Share your photos of the trail, too! If you haven't hiked that trail but have other favorites, we'd love you to share them on Trails as well. Just click the "join" link at the top of the Trails homepage and you'll be on your way!